Grandma cooking is for me synonym for stews and large tables. The stews of our childhood. I remember when as a little girl I entered in the gigantic kitchen of my grandmother. I still see her stirring slowly using a large wooden spoon a dish simmering on low heat in her large green casserole dish. Such a delicious smell! I have never seen her prepare the same dish from one day to the other except her Britain traditional recipes that her own grandma transmitted to her and her famous mustard tart that I cannot stop baking to the great delight of my friends. 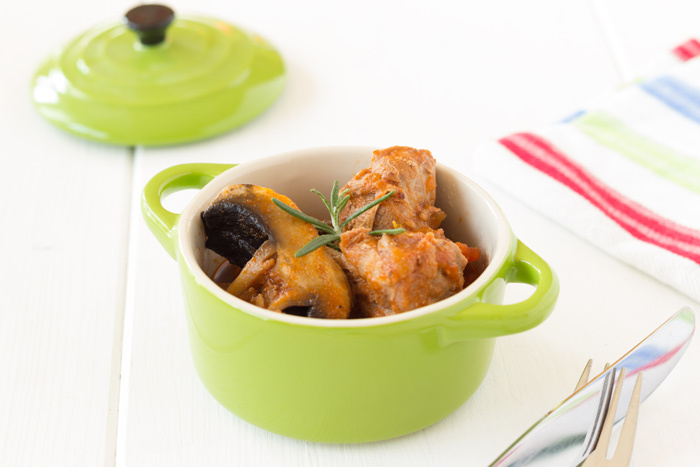 Rabbit in mustard, with prunes, fresh trout just fished by my grandfather, poule au pot, … and stews … so many different kind of stews. 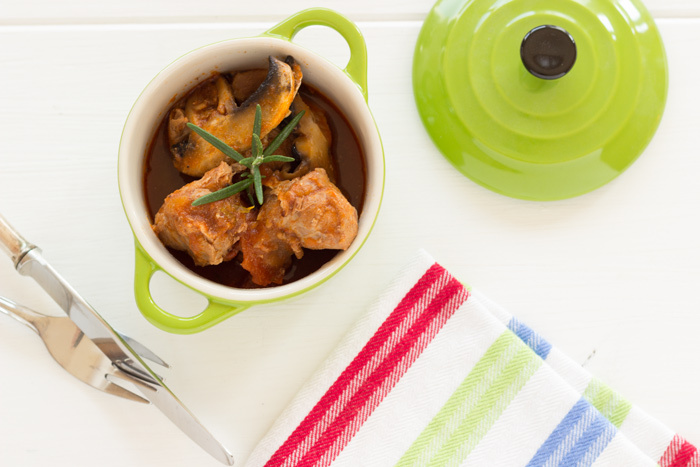 Here a unique stew made with pork shoulder, mushrooms and tomato sauce. A nod to grandma day and to the women who shared with me her passion for cooking. 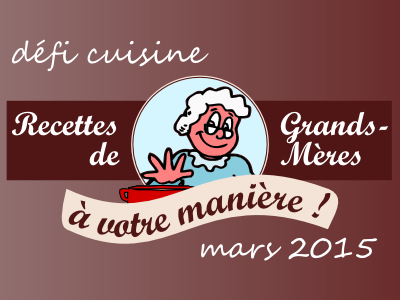 A nod to recettes.de as well, a French cooking website, inviting us this month to share the recipes of our grandmothers in participating to their March challenge. 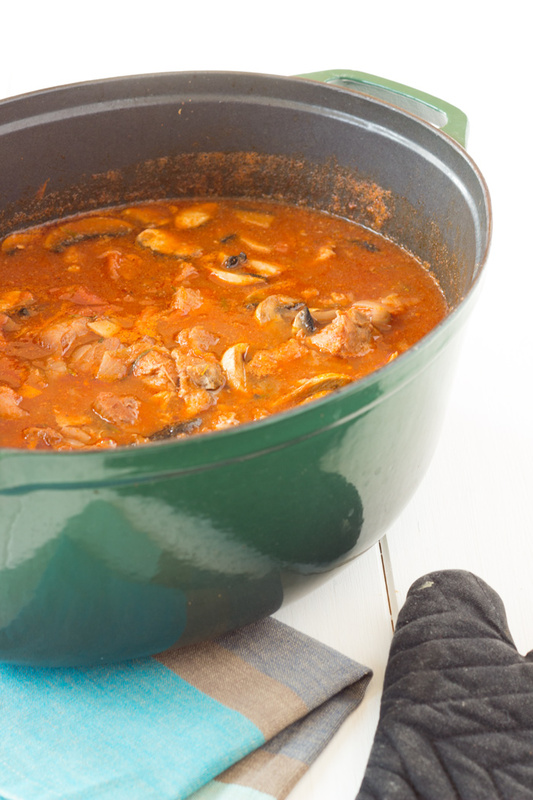 So for my first challenge, a pork stew with mushrooms and tomato sauce. For 10 peoples! The more we are, the better it is! Cut into 2.5 cm (1 inch) cubes. 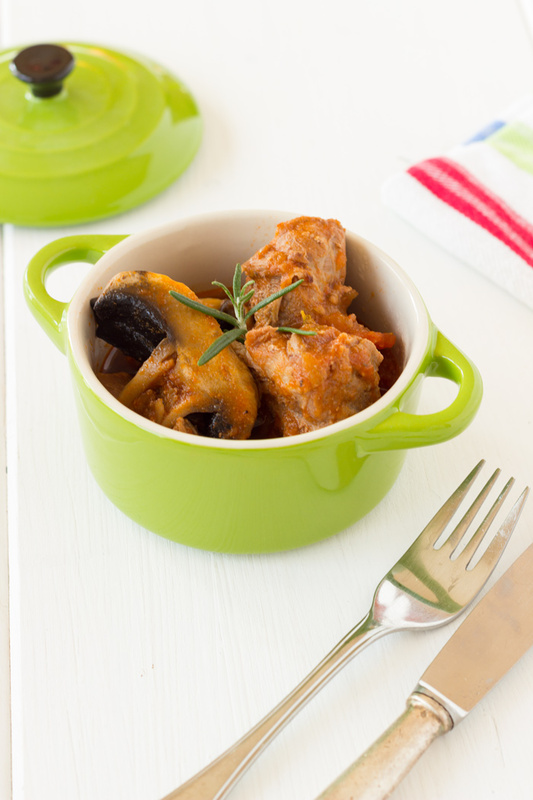 Brown on each side with 1 dash of olive oil in a large casserole dish. Remove and put aside. Peel and slice onions and garlic cloves. Fry for 5 minutes. Add meat, tomato sauce, tomatoes and chicken bouillon. Cover and leave to cook for 30 minutes. Add red wine, all spices and season with freshly ground pepper. Cover and cook for 1 hour 30 minutes. Wash and slice mushrooms. Add in casserole dish and leave to cook 1 hour more removing the cover. Spring like photos. Very pretty. I agree with Rosemary, beautiful photos. And a delicious recipe. Thank you so much Virginia!